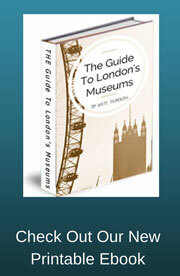 The museum exhibits from the Americas can be found in rooms 26 and 27 on the ground floor of the British Museum. Although this is a relatively small area within the museum is has to be one of the most colourful and varied. They also have a certain wow factor especially the Mexico room, so make a not to visit these two rooms before you leave. These changing museum exhibits celebrating The Americas is called "first people, first contacts". It shows the diversity of the Native Americans and their culture with objects dating between 10,000 years ago to the present day. There are objects which were brought back by Captain cook in 1778 from his voyage to the Americas, most interestingly ritual masks. 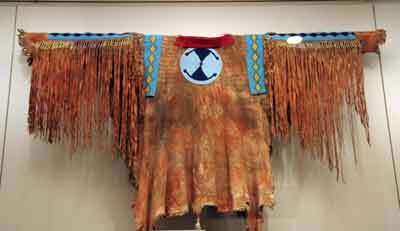 There are also special robes made from wool and cedar bark which were worn by the chief elders at feasts and celebrations. The Navajo and Apache tribes are also represented here with items such as clothing, ceramics and jewellery. I was most impressed with the decorative clothing and headdresses and the shrunken head masks were quite impressive too. This room as a real wow factor and although it is quite small and can get quite busy there is a strange sort of atmosphere here, due in part to the darken room and spot lighting. Strangley the atmosphere makes everyone in the room talk in whispers for some reason and this adds to the overall ethereal feel of the gallery. I have never seen such fantastic eye grabbing museum exhibits as these and if I didn't know any better, would have assumed that they were all brand new and made for a film set. In one long dark case there are some beautiful ritual objects made from turquoise. A double headed see serpent and a skull glare out at you from the murkiness, slightly sparkling and inviting you to come closer. The rest of the gallery consists of intricately carved limestone lintels and tall striking stone statues of female goddesses representing fertility. You will also find a round stone statue of a cobra coiled up with his head rising above and hissing at you. The carving was so perfectly down that even the underside was carved too. For this reason the statue has been placed over a mirror so that you can see the folds of the snake's coils underneath. 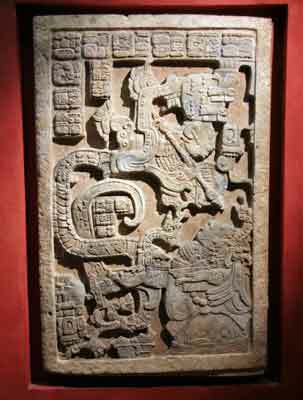 The Mexico room is another of my favourite rooms in the British museum and one that I never miss.